Many valuation experts simply use a historic average operating profit percentage of sales to model future operating profit. This rather unsophisticated approach effectively treats all expenses as variable. While this may be true in the extreme long term, it isn’t true in the five-year term that business valuation is principally concerned with. 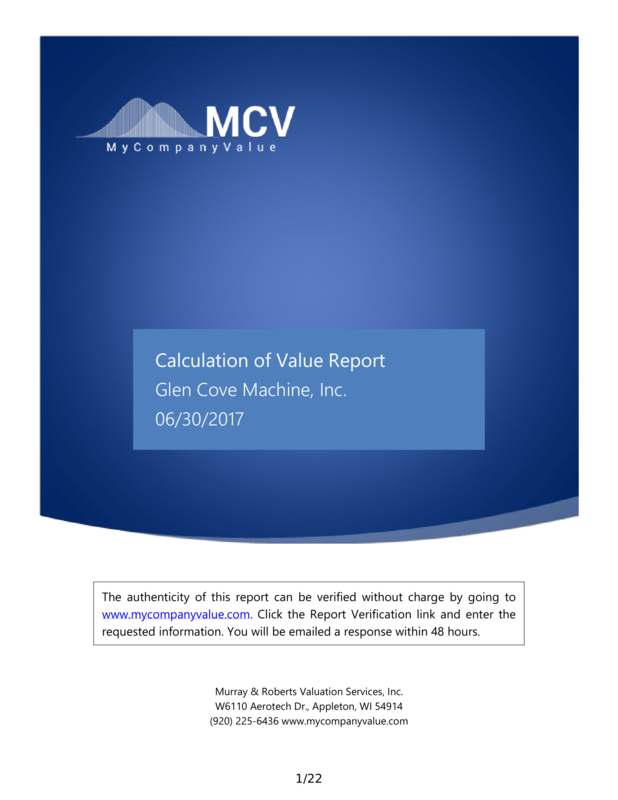 We must consider the fixed and variable components of the company’s cost structure to accurately project the impact differing sales levels have on operating profit. Traditionally, this would require an accountant to classify all of the operating expenses on the income statement as either variable or fixed. While this may seem simple, it can be a matter of considerable debate and confusion. For example: advertising. Advertising tends to vary with sales, but does not vary as a direct result of sales. Is it variable or fixed? Further, many expense accounts have both fixed and variable components within them. Operating labor, for example, may have a fixed component blended with the variable component. If sales dropped sharply at a company, management may choose not to release a commensurate number of workers out of a fear that if or when sales return they will not have adequate time to retrain new operators. In this scenario, some of the operating labor has become fixed in the short run. The last five years of sales and operating profit are re-indexed based on sales and are plotted on a graph, where sales is represented on the x axis and operating profit is on the y axis. After plotting these points, a line of best fit (a straight line with the minimum deviation possible from each point) is drawn through the points using the least squares method. One minus the line slope is the variable cost percentage for our model. Negative one times the y intercept is the fixed cost component. Next, we use the actual sales data for each year to calculate the model profit estimated for that year. We compare these results to the actual operating profits on a graph. The accuracy of the model is often remarkable. We also show the profitability estimated by the percent of sales method as well to visually demonstrate the improved accuracy of our geometrically generated model. 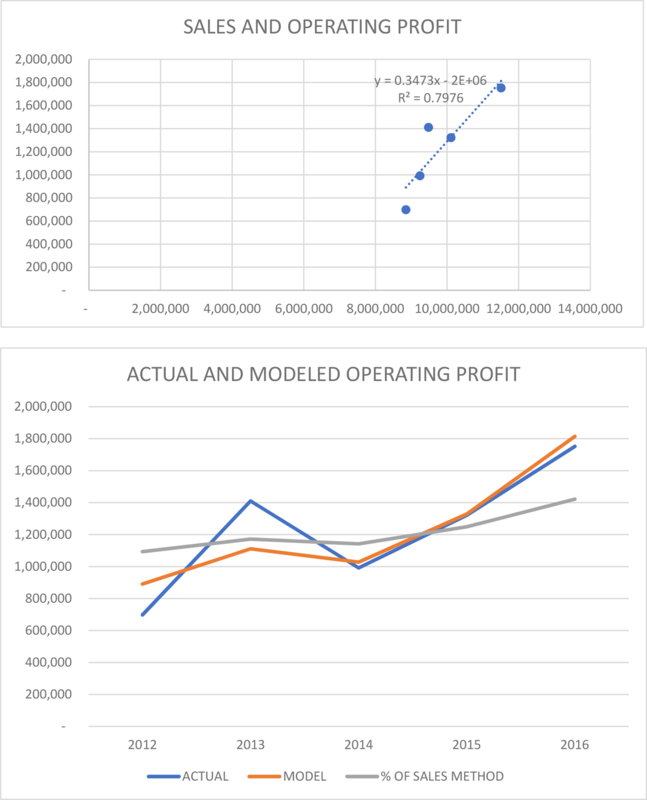 Finally, we apply our model to the projected future sales for the next five years to generate our forward-looking projection of operating profit. If you would like to experiment with the operating profit model we have developed, click this operating profit model link.